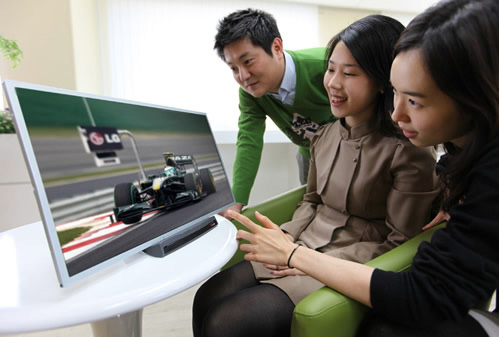 LG Display announced a new 23-inch IPS (In-Plane Switching) LCD panel which has 240Hz refresh rate, promising clear picture quality with no ghosting effect. The new display boasts full HD resolution, 8ms response time and was developed by combining 120Hz technology with scanning backlight technology which enables a backlight to be repeatedly turned on and off. This is the first time that 240Hz technology was applied in a 23-inch product under mass production and the new panel is aimed to be used for high-end monitors and TV monitors.